When God gives a vision, He will give the provision. Tadesse Gebreyes, Blessing the Children Ethiopia’s National Director, had a vision recently about an 11 year old girl who needed help because she had no family. She was living on the streets – alone, unprotected and uncared for. She was in dire need and in a seemingly hopeless situation. Involved in Tadesse’s heartbreaking vision was a Pastor from a BCI partner church, MKC Church. He was the one who would be the liaison between the girl and Tadesse. A few days later, Tadesse received the anticipated call from the MKC Church Pastor. Before the Pastor could talk, Tadesse began to share his vision with the man, who started to laugh. The Pastor explained to Tadesse that the vision was accurate, with one exception. The girl was a boy. 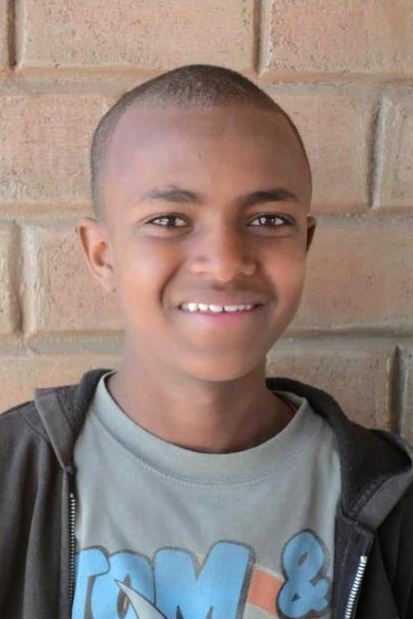 Meet Kumilachow Melesa, an 11 year old boy that came from the Bahadar region of Ethiopia. His father died of yellow fever when he was only four and his mother – his last living family – died when he was 9. Kumilachow was his mothers only child and upon her death was forced to the streets. Kumilachow was living along the roadside and receiving some charity from a local school, but they could not afford to help him for long. He was then brought to Addis by a Good Samaritan truck driver who wanted to help the boy although resistance from the truck driver’s wife put an end to that. The truck driver, unsure what else to do, took Kumilachow to the police station where he lived for around 15 days. Kumilachow was receiving very minimal assistance from a local organization called Kingdom Youth International but unfortunately they are unable to continue due to financial constraints. Kingdom Youth International was only able to assist Kumilachow by providing a small amount of injera and he has gone hungry many times and has been frightened as he slept out on the road vulnerable to any people and animals passing by. While his dire situation is no indicator, Kumilachow has attended school in the past and is in grade 4. He is a smart young man who speaks like a young adult and even knows some English. All he needs is a chance. As Thanksgiving approaches, we begin to think of all the things we are thankful for. I just returned from a trip to Ethiopia last week and I’ll tell you what, nothing makes you realize how much you have to be thankful for – like a trip to one of the poorest countries in the world. One thing I always realize during my trips to Ethiopia is that, thankfulness is a state of being, not always dependent on what you have. I know people here in the U.S. who have so many material possessions and have been blessed beyond reason but are they thankful? No. It is so easy to take things for granted. In contrast, I visited families in Ethiopia who have nothing more than one room with a dirt floor and dingy mattress – maybe some pots and pans and one change of clothes. But the thankfulness these families had for the little that they do have, was astounding. They were just thankful to be alive. Thankful for each other. And thankful to me for taking the time to visit them and pray with them. This Thanksgiving I would ask you, are you thankful? Do you truly appreciate what God has blessed you with? And if you do, can I encourage you to consider blessing others, as you have been blessed? It would be easy to ask you to provide a thanksgiving meal for a family but this Thanksgiving, would you consider sewing into the future of a child instead? would you help us teach them to fish? 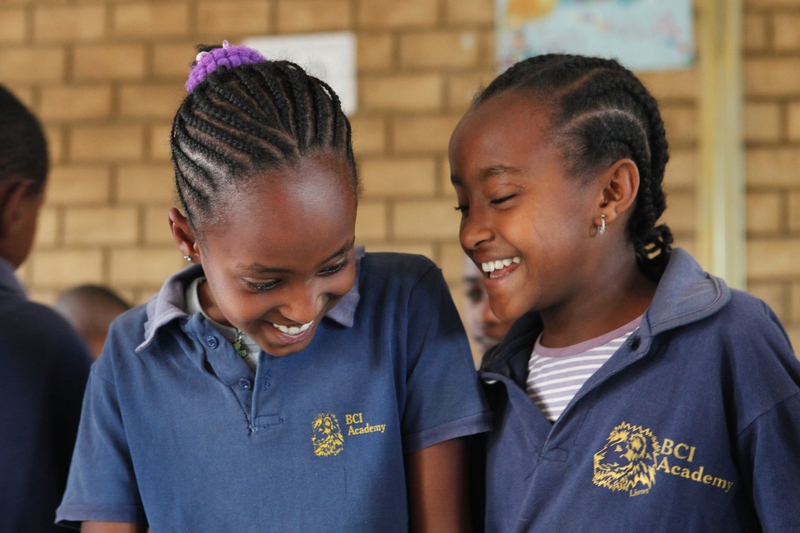 By investing in the BCI Academy KG, you will be investing into the education and the futures of the children, enabling them to grow and develop into capable, working adults. Would you consider making a donation to help us fill this need? Making a donation to sew into the future of a child? To make a donation, I invite you to visit our donate page or to email/call me directly for other donation options. I look forward to hearing from you and I pray you have a wonderful Thanksgiving, full of love and laughter!